Robots are good at many things but snatching items out of the air with the quickness typically isn’t one of them. 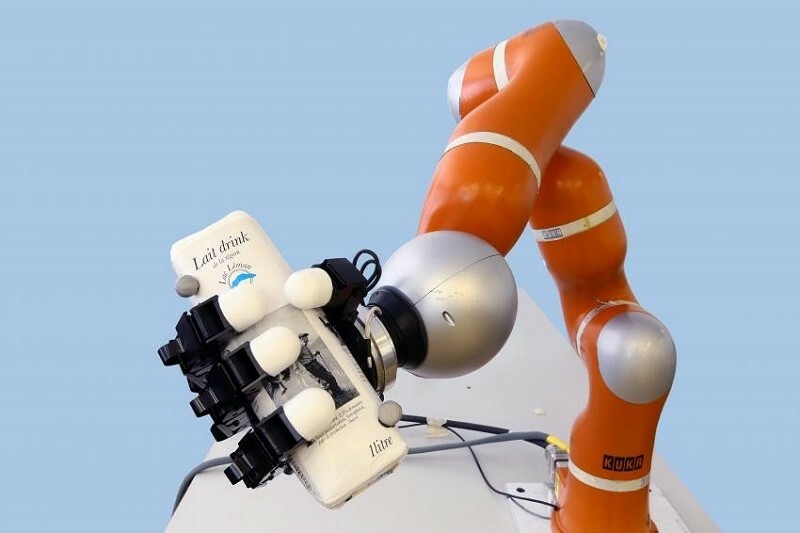 To combat this issue, researchers at École Polytechnique Fédérale de Lausanne (EPFL) have created a robotic arm that can put most of our human arms to shame. Unlike some other bionic implementations that rely strictly on repetitive motion, the arm in question is able to learn a task simply by observing a human performing it. From there (and with the help of a camera), the robotic arm is able to predict the flight path of an object and grab it at just the right spot. It can even compensate for an object with a shifting center of gravity such as a half-full bottle of water. It’s certainly cool and it could even have some practical applications. The EPFL believes it could be used to one day catch orbiting debris in space to prevent a collision with a satellite but here on Earth, its underlying technology could help driverless cars avoid accidents.